I travel and I camp quite a lot. And I love astrophotography. How can you mix these two? Some time ago, I was using a traditional German equatorial mount, a guidescope and a laptop for astrophotography. 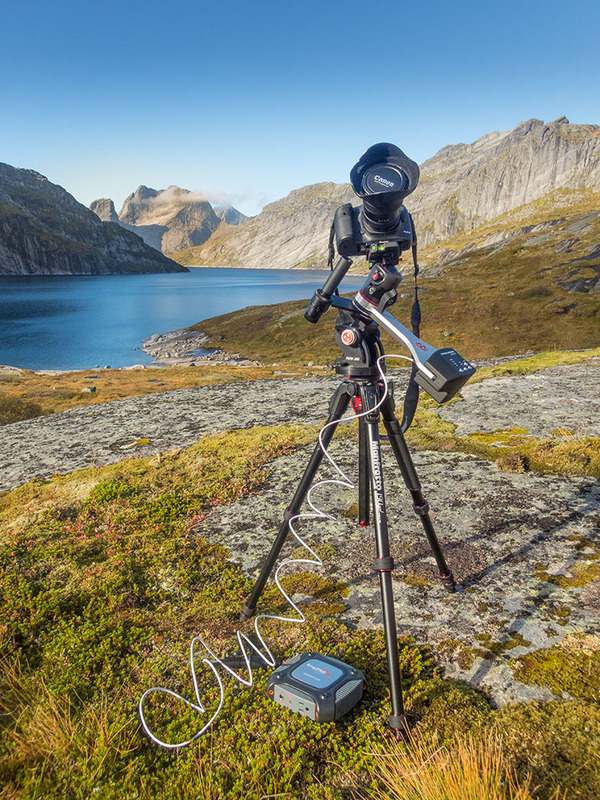 The mount was around 18 kilos, tripod included, the guidescope around 2 and the laptop added another 1.5 kg to the setup. This was without my camera and imaging telescope or camera lenses. Oh, and let’s not forget the heavy 12V battery. And the cables. Lots of cables and adapters. Then, I decided to switch to a lighter setup more suitable to by style of astrophotography. I usually do astrophotography at short focal lengths, the longest being 500mm. Now, most of my astrophotography is done with a star tracker on a tripod, one camera body, two lenses, one telescope and one Macbook Pro for post processing. And a portable power pack. For the tracker, I chose the Fornax LighTrack II. Yes, there are lighter trackers out there, but I agreed to trade some weight for tracking accuracy. The LighTrack II is for sure the most accurate star tracker available on the market today. The peak-to-peak unguided tracking error of the LighTrack is around 2 arcseconds, a significantly lower value than most other products feature. I’ve been a fan of Fornax trackers since their first model, the Fornax 10, and they never disappointed. But, most of the times, you feel the need for a longer exposure. The first option is to track your exposures using sidereal rate (the rate at which the Earth spins on its axis). Then, you get nice stars, but the ground part of your image, the landscape will get blurred. As I’m not a fan of blending photo of the sky with one of the landscape, I often choose to shoot nightscapes at half sidereal speed. This will allow you exposure times that are twice as long as the ones from a fixed tripod. Let’s say you want to take a photo with a 24mm lens on a full frame camera. From a fixed tripod you will be limited at 400/24 = 16.6 seconds. That better translates to 15 seconds. Using a tracker at half sidereal rate, you can shoot at 30 seconds and still get round stars and the foreground will not be terribly blurred. 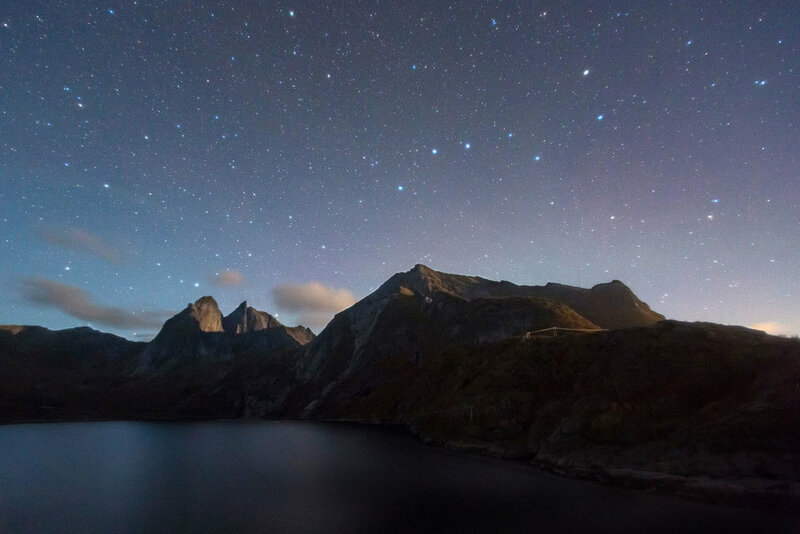 Here’s one shot of the Big Dipper above Djupfjord, in Lofoten, shot with a Canon EOS 5D Mark III and a Canon EF 17-40mm f/4L lens. I used 44 seconds of exposure tracked at half sidereal rate on the LighTrack II. 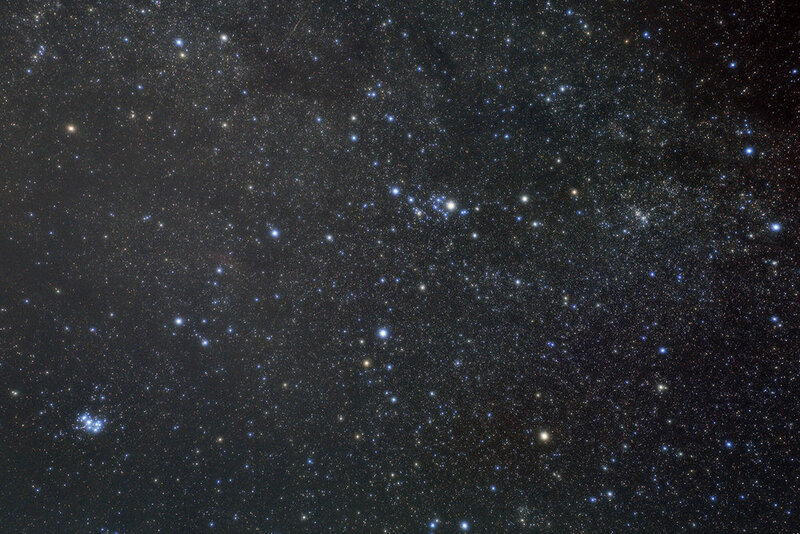 In the same image, I got both nice looking stars (except for lens distorsion) and details in the foreground. 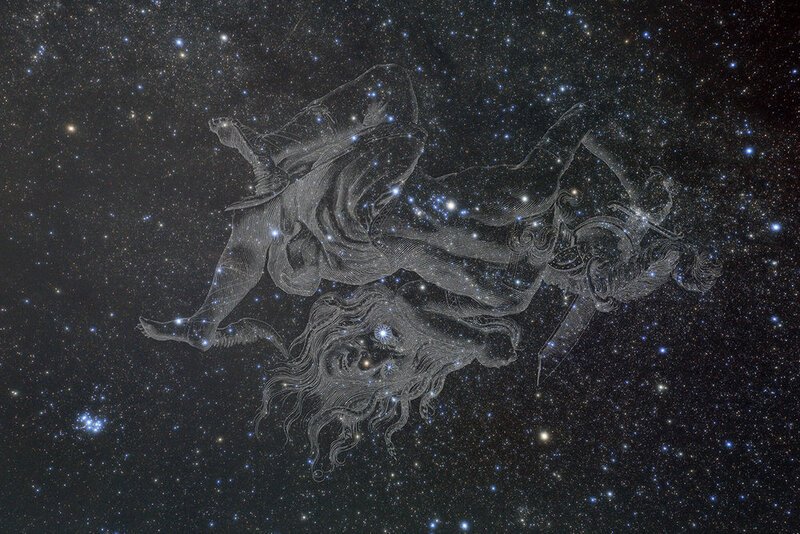 Here’s another example of an image tracked at half sidereal rate. Technical details are the same as above. This was shot in Romania, in the Retezat mountains, during a short star party I attended in the beginning of October. Too bad the weather was not very friendly and I was not able to do any proper astrophotography. The image looks actually a lot better, but the image displaying algorithm of my blog stretches it in an ugly way. Of course, if I’m not interested about the landscape and I want to shoot images showing only the night sky, I will switch to sidereal rate and shoot for multiple minutes. Here’s one image of the constellation of Perseus, shot from Lofoten, with the Canon EOS 5D Mark III and the Canon EF 17-40mm f/4L lens set at 40mm f/5.6. I used a Kenko Softon diffuser filter to make star colours more prominent and to make constellations pop out. It’s a stack of three 3 minute exposures processed in PixInsight. Here’s another example of a shot tracked at normal sidereal rate, taken in New Zealand with the same Canon EOS 5D Mark III but this time with a Zeiss Otus 28mm f/1,4 APO Distagon T* lens. 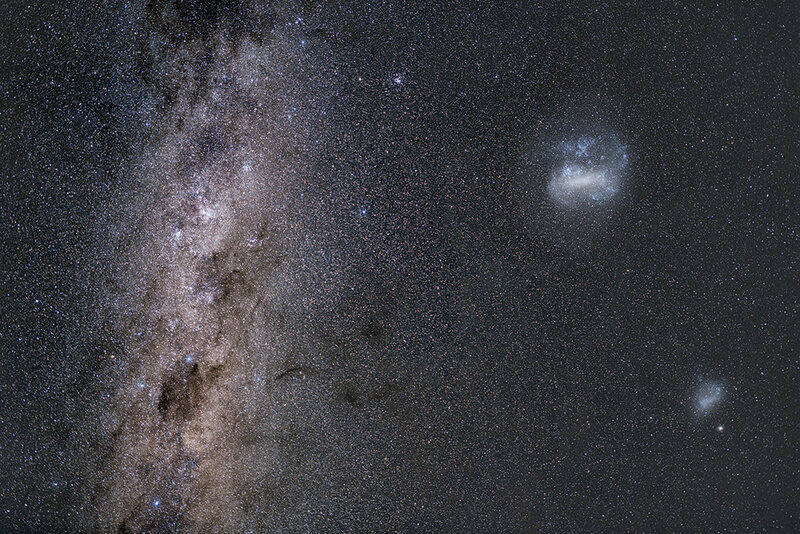 (Read my review of the Otus) It’s an image of three galaxies: to the left there’s part of our Milky Way and to the right, there are the two Maggellanic Clouds, satellite galaxies of our Milky Way. All this gear fits inside a normal photo backpack. In my backpack, I also have plenty of room for a few clothes, a light sleeping bag and I can fit the tent to the outside of it or I can share it with my wife, as I never go camping alone. I’m exceptionally happy with the setup I use right now and it’s not likely at all to change it in the future. It totally suits my style of travelling and doing astrophotography. The funny thing is that pretty much every time I go through security check at the airport, the LighTrack becomes the most interesting object in the backpack. I get to tell them why I carry it with me, how I do astrophotography with the device and so on. Maybe one of the guys checking my backpack will start astrophotography because of that. The tracker is so good that I can even use it with my Pentax 75SDHF refractor telescope. But I’ll tell you more about that in a future post. Clear skies and if you have any questions use the Comments section. Reality check: I’m a brand ambassador for both Fornax Mounts and Enerplex. Even though I get some items from them for free, my opinions are always fair as I am not able to endorse products I don’t believe in.